Types of Plants that Grow in the Winter – McLeese Landscapes, Inc. Most plants and flowers are known to blossom during the spring and stay dormant during the winter. Some shrubs and plants do blossom and thrive during the winter and become a valuable source for non-migrating birds or bees. 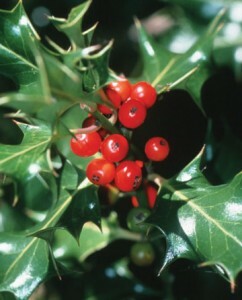 Some are also bright and ornamental with bright red berries, and are often associated with the holiday season. Some can even withstand snowing conditions and last for years on end. Holly and winterberry are evergreen plants that are popular during the holiday season, as they are used for Christmas decorations. Bright red berries grow on winterberries and provide food source to non-migrating birds during the winter. These are sometimes deciduous, shedding their trademark glossy green leaves, but this leaves a more beautiful array of bright red berries to be shown off of and is a good shrub to grow for landscaping decor. The northern bayberry is a mid-sized evergreen that provides fruits for birds during the winter. Though their flowers blossom during the spring, the plant is mostly known for its dark green foliage and berries that provide sustenance and nesting for birds. It is an upright shrub that can grow to a height of 5 to 8 feet. Female plants produce the small blue/grey waxy berries that provide food for birds. These shrubs start to flower during the late winter, testing the weather until it fully blooms around March. The flowering quince also has sharp thorns and can grow to a width of 6 to 10 feet. If the flowers survive through freezing temperatures, they produce a pear-like fruit that is tart in taste, which can be used to make jelly. Also called oleaster, the russian olive is a thorny shrub that can grow to a height of 30 feet. Its fruit resembles a red olive and provides sustenance for non-migrating birds, such as cardinals. Some states forbid the plant’s cultivation because it is considered invasive, meaning that it is harmful to the ecosystem. It fixes nitrogen into the soil, altering the soil’s chemistry and changing the plant communities. This is a mid to large-sized ornamental shrub that flowers during the winter into the early spring. The plant has been used to treat painful swelling and tumors in the past by North American Indians. The shrub provides various other remedies for treating varicose veins, burns and inflammatory conditions with the skin. Wintersweets are fragrant shrubs that flower in December and January. The flowers are brownish-yellow with hints of purple inside. They tend to grow alongside walls and need occasional pruning in such instances, but can also grow as a bush, needing little to no pruning. Canadian Hemlock is a rugged pyramidal tree that can grow up to 70-feet with a spread of 35-feet. They have dark green needles on top and light green ones underneath. And though the Canadian hemlock has pine needles, they are short and therefore less messy than some of the traditional pine trees.